Jawun partners with organisations in North East Arnhem Land under the guidance of a number of key local leaders, including Galarrwuy Yunupingu, Chairman of Gumatj Corporation. Galarrwuy Yunupingu is the senior leader of the Gumatj Clan and was named Australian of the Year in 1978. Galarrwuy’s father was strongly involved in the Gove Land Right Case that led to the passing of the first land rights legislation in Australia. Galarrwuy was the Chairman of the Northern Land Council for 27 years between 1978 and 2005. He has led negotiations with mining and government bodies throughout the length of his professional career, recently leading negotiations for the Gove Mining Agreement. Galarrwuy is one of 100 Australian Living National Treasures selected by the National Trust of Australia. He is the Chairman of the Gumatj Corporation and the Yothu Yindi Foundation and is committed to the development of an economic future for his people. Djawa sits on the Gumatj Board as well as the Yothu Yindi Foundation Board. He is currently the Deputy Chairman of Gumatj. He was one of the founding members of the Dhimurru Land Corporation which is responsible for looking after the land environment of North East Arnhem Land. Since 2008 Djawa has led the work of Marngarr Resource Centre which is a local resource agency that provides training, employment and work. Eddie Mulholland is of Aboriginal and Torres Strait Islander descent (Murra Jagum Clan, Mer) and has lived most of his life in remote Aboriginal and Island communities and townships. 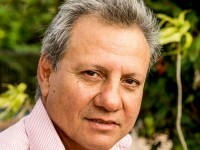 He also has biological connections to the people of East Arnhem (Miwatj Region) where he is now CEO of Miwatj Health. He has worked in Aboriginal affairs for the past 24 years, in Administration Services, Local Government, Indigenous Housing, Legal Aid, Fisheries Development and Health. Today Miwatj Health is considered by the Australian Government as one of Australia’s leading Aboriginal Medical Services. Miwatj Health has, in the past eight years, consolidated its position and considerably expanded its service delivery, regional footprint, income and regional and national profile. Balupalu Yunupingu is a board member of both Gumatj Corporation and Yothu Yindi Foundation. 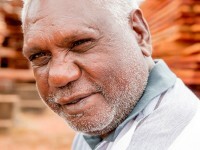 He is a respected elder of the Gumatj Clan and is the younger brother of Galarrwuy Yunupingu and the late Dr Yunupingu. He was previously a senior ranger with Dhimurru Aboriginal Corporation.